Medical Device, CarbofilmTM, Single Suture Stentless Valve, High Performance Aortic Valves, Perceval Sutureless, Pericardial Tissue Valves, 3D Motion Annuloplasty Ring, Oxygenator, Heart-lung machine, autotransfusion systems, Heart Failure Management systems, Tachyarrhythmia and bradyarrhythmia management systems, neurostimulation, percutaneous mitral valve repair. Sorin Group Italia s.r.l., a wholly-owned subsidiary of LivaNova PLC, has Italian premises in Mirandola, Saluggia, Milan and Cantù. 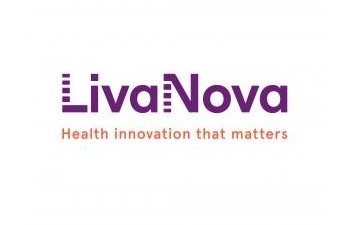 LivaNova, headquartered in London – UK, is a global medical technology company formed by the merger of Sorin S.p.A., a leader in the treatment of cardiovascular diseases, and Cyberonics, a medical device company with core expertise in neuromodulation. LivaNova transforms medical innovation into meaningful solutions for the benefit of patients, healthcare professionals, and healthcare systems. The Company employs approximately 4,500 employees worldwide (1,752 in Italy). With a presence in more than 100 countries, LivaNova operates as three business units: Cardiac Rhythm Management, Cardiac Surgery, and Neuromodulation, with operating headquarters in Clamart (France), Mirandola (Italy) and Houston (U.S.), respectively. As a global leader in cardiac surgery, LivaNova state-of-the-art cardiac surgery solutions have contributed to significantly enhance patient outcomes. Today our devices and systems are used in more than 50% of open-heart surgery procedures worldwide. SORIN was founded in the mid-50s (in Saluggia, VC) as a part of joint venture project conducted by two Italian companies, automaker Fiat and an industrial company Montecatini to explore the emerging area of potential applications for nuclear energy (SOcietà Ricerche Impianti Nucleari). During the 1960s, the Company’s mission narrowed to focus on medical technology, especially on developing coatings and materials for medical devices such as cardiac pacemakers and heart valves. In the early 90s, Sorin acquired Dideco and Stockert, two internationally recognized producers of life support systems used in Cardiac Surgery, and Bellco, a leading provider of hemodialysis products and services for the treatment of chronic renal failure. In 1992 was created the Legal entity Sorin Group Italia s.r.l and, in 1999, Sorin purchased COBE cardiovascular, a leading manufacturer of advanced cardiopulmonary and autologous blood processing products. In 2001, with the acquisition of ELA Medical, Sorin strengthened its position in the cardiac rhythm management field. The acquisition in 2003 of Carbomedics, to complete its portfolio of mechanical valve products, and Mitroflow, producer of revolutionary aortic pericardial heart valves, have increased Sorin’s position as a major provider of heart valve therapy. Nearly 40 years of real-world experience in valves, development of revolutionary biocompatible materials as well as ideal haemodynamic design, high-tech bioengineering, exclusive technologies and the most stringent quality control represent Sorin Group Italia’s distinctive approach to ensure absolute levels of quality and reliability while providing the best solution for healthcare professionals and their patients.